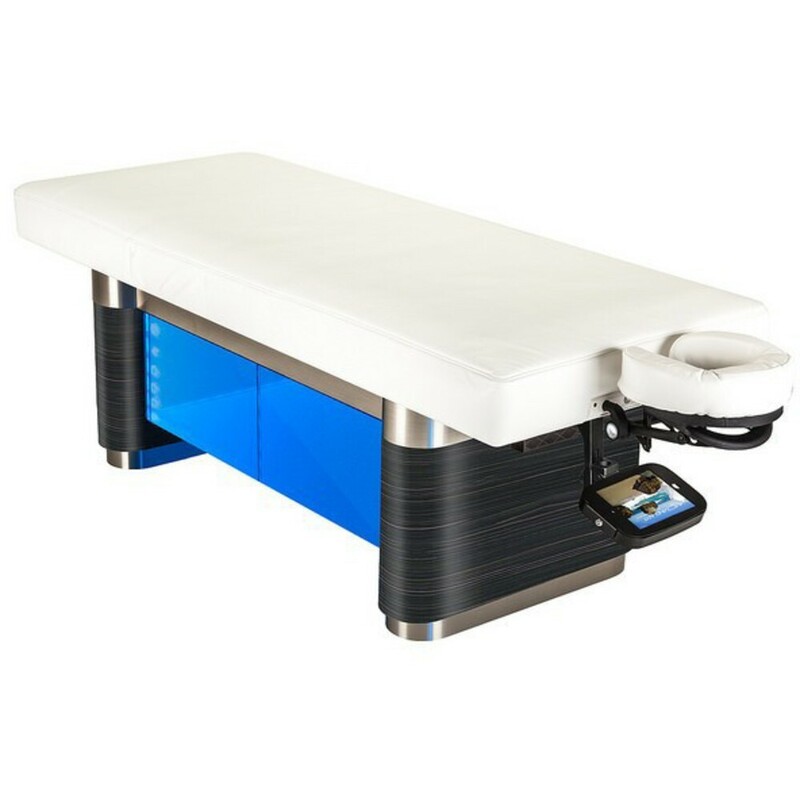 The Mother Of Massage Tables - Nuage Vector™ +Studio by Living Earth Crafts!!! When I started massage school many moons ago, I would have never dreamed up a table better than the Nuage Vector™ +Studio by Living Earth Crafts! The quality of the Living Earth Crafts line is unparalleled and this table is no exception! It's all electric which, if you're used to having wooden knob adjustments to raise/lower your table - you'll adore this! It has chroma therapy lighting - if you're not familiar with this, I highly suggest checking it out. The use of colored lighting has been shown to be helpful with relaxation. My favorite feature is the embedded digital table warmer. I'll say it again, it has a built-in digital table warmer. No more annoying cords to stumble over or table warmers bunching up anywhere. A few more unique features include acoustic resonance, embedded Bluetooth® stereo speakers, Apple iPad® control system, meditative nature journeys—seriously, there isn't anything else you need on a table to offer an amazing experience to every single client. If you're looking to take your business to the next level, you've found it! Don't forget you can finance equipment and furniture so you can keep your cash flow flowing!